“We have the skills, the enthusiasm and the necessary knowledge to put a plan in place and build two classrooms for Chitipi School. All we need is the cash”. With their determination and the support of Rotary Becket, Terry and Diane set out to raise £17,000. With immediate pledges from Rotarians, family and friends and a well organised fund raising campaign more than £25,000 was raised in less than 8 months. 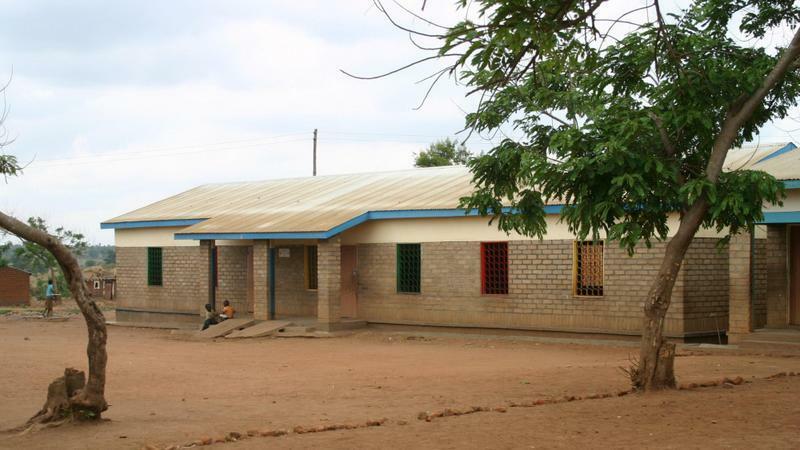 So began a project to see two new classrooms built, fitted out with essential teaching aids including desks, chairs, shelving and a blackboard. 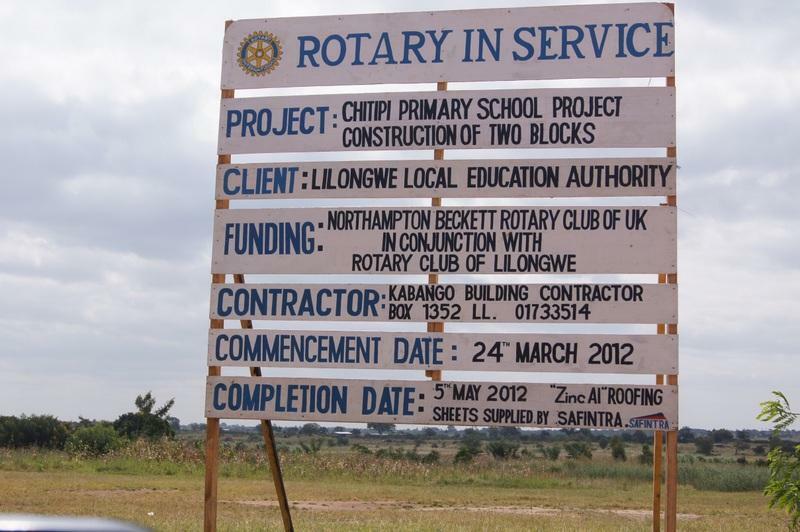 The existing partnership between Rotary Becket and the Rotary Club of Lilongwe was utilised to full advantage. The UK end provided fundraising support, expertise and practical help, whilst the latter provided local knowledge and logistical expertise, such as architects and construction experts. 15 volunteers, mostly Rotarians, travelled out at their own expense to help with the construction, local trades-people and labour were used and materials locally sourced. A tool chest, built up here in the UK mainly from donated tools refurbished by another Northampton charity [Tools for Self Reliance] was shipped out. On completion these were left behind for the workers who helped on the project. 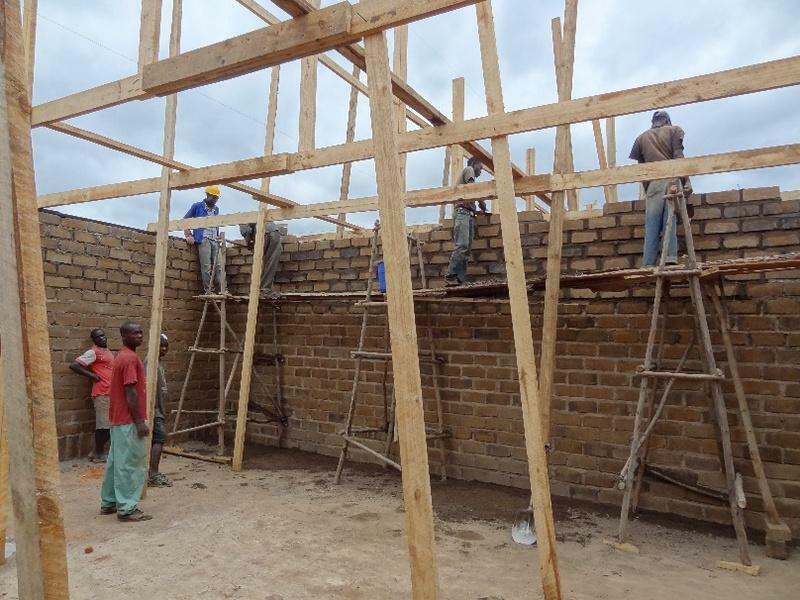 The Project provided a unique opportunity for basic level building skills to be passed on to unskilled workers and helped the local economy in both the short and long term. The project was completed in only 9 weeks in 2012 and successfully achieved all its aims. But when a follow up visit was made in 2014 it was found to have been the 'victim' of this success because yet more children were attending with 300 faced with receiving lessons under the trees. 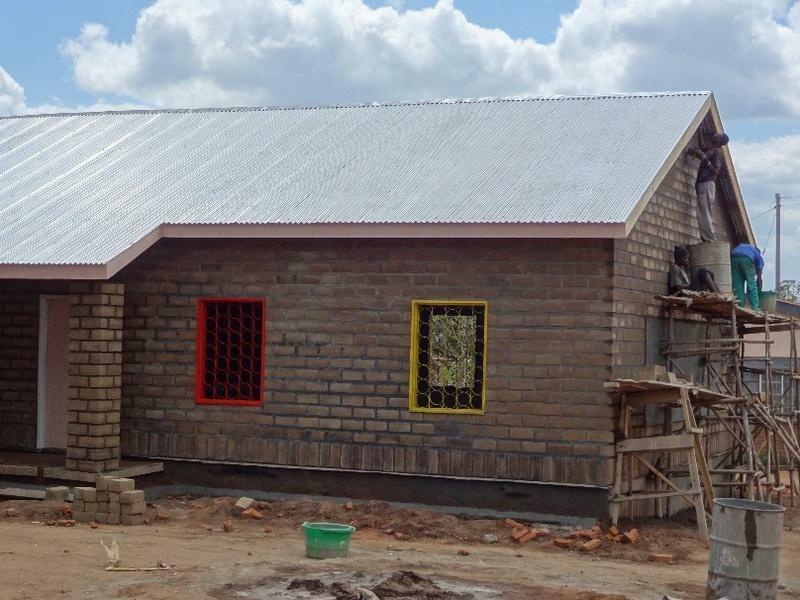 The Rotary Becket team decided to raise more money and build three further classrooms at a cost of £20,000. In under 4 months plans were drawn up, over £36,000 raised and another local team of builders found. The response to the new appeal was enormously encouraging and included a generous anonymous donation to cover the whole cost of one classroom which when built was named the 'Olive Room'. Again a team of Rotarian volunteers went out this time, to manage the project. Within a surprisingly short time the construction was finished. A remarkable achievement in a country far away with poor facilities and communications. 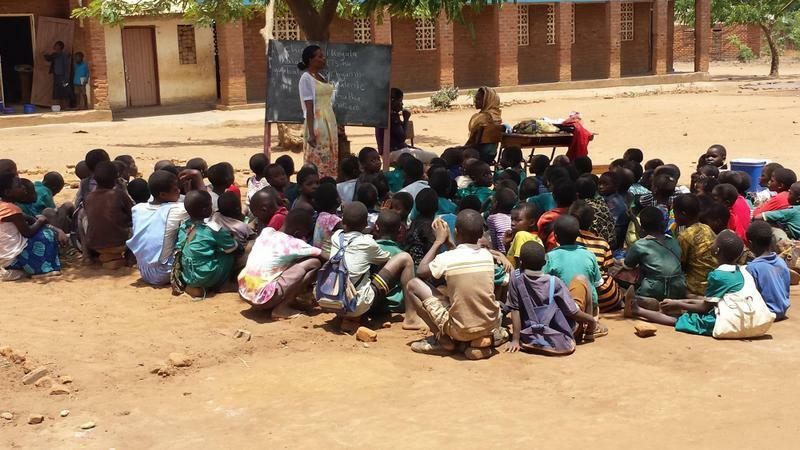 During the time our Rotarian volunteers were in Malawi they undertook a number of other vital improvement projects using the surplus donations received. 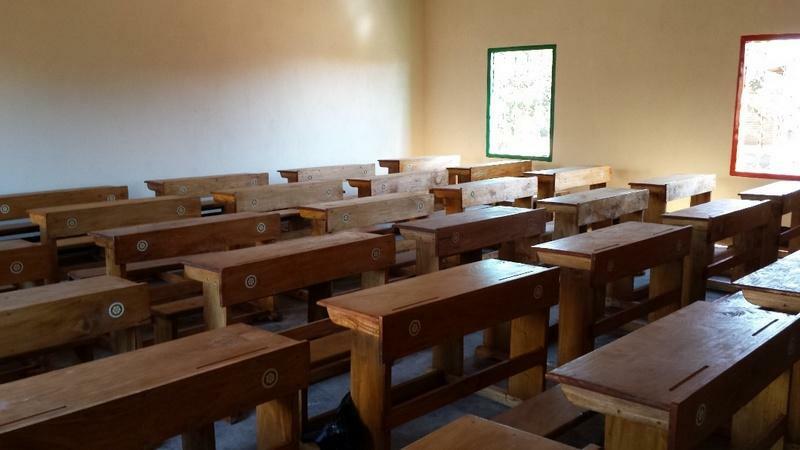 Repairs to 150 broken desks and a complete redecoration of the school were the first priority and on the second visit an office for the Head Teacher was constructed, a new classroom was created in the existing building and poor quality desks were replaced with locally made strong wooden ones. As each construction was completed the local community, their chiefs and government representatives put on a substantial opening ceremony. Later Rotary Becket were honoured to be personally thanked for our work in Malawi by the High Commissioner in London, his excellency Mr Kena Mphonda. We have gained a great deal of pleasure and satisfaction from this project and know what a difference it has made. However our support for Malawi continues - see below for more information. Click here to find out more about the potential to improve health, hygiene and cultivation by low cost ECO Toilets.